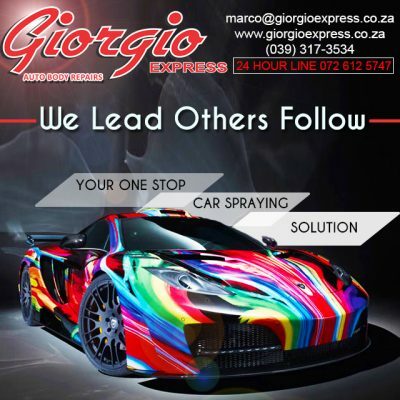 Giorgio Express Auto Body Repairs is your go-to one-stop shop for a complete spray painting solution! So make us your go-to specialists on the KZN South Coast. Regardless if you need a simple scratch touch up or a full restoration we have professional spray-painting services and solution that will match your exact needs.